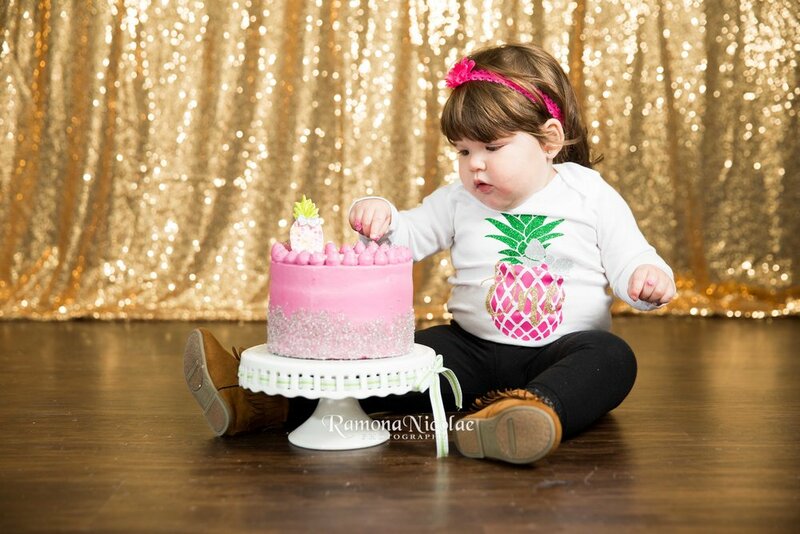 When Rebecca and Aura from the famous Pink Pineapple Cakes decided to have a cake smash session done for little Anna they also chose an outfit to match the family business: an onsie with a pink pineapple imprinted on it that Rebecca had previously ordered! 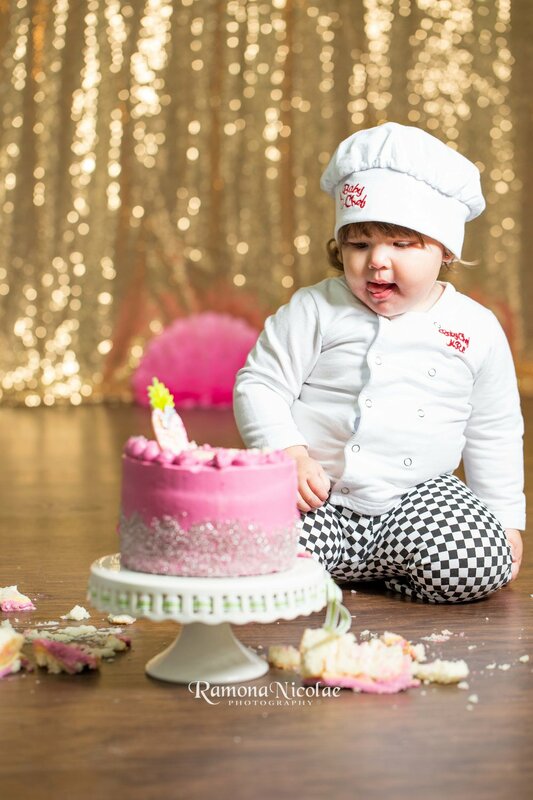 Also since grandma Aura is a chef and one of the most amazing cake artists I know... they also had to have a baby chef outfit as well....now how cute is that? 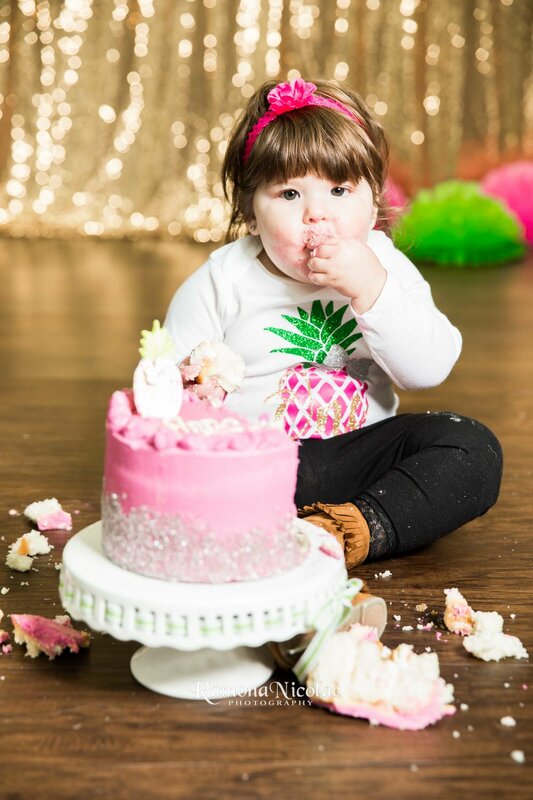 And Anna sure rocked her smash cake session in style! 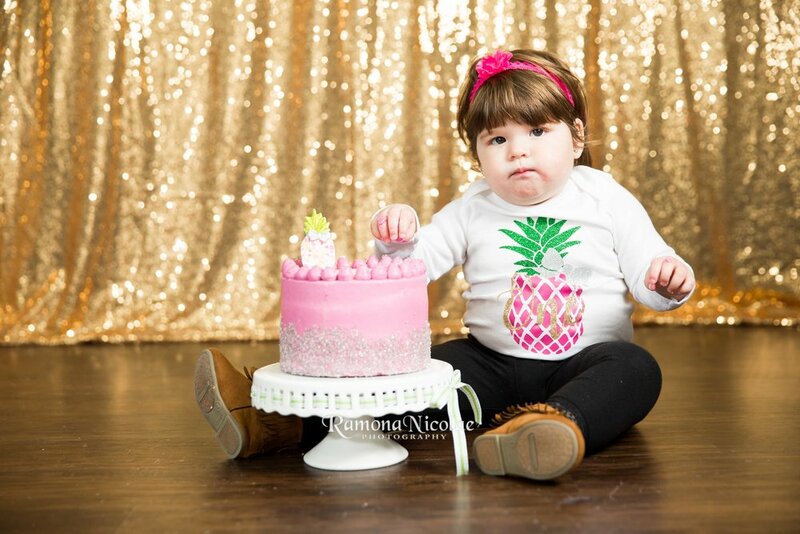 The cake was delicious... i mean just ahhhhmazing!! 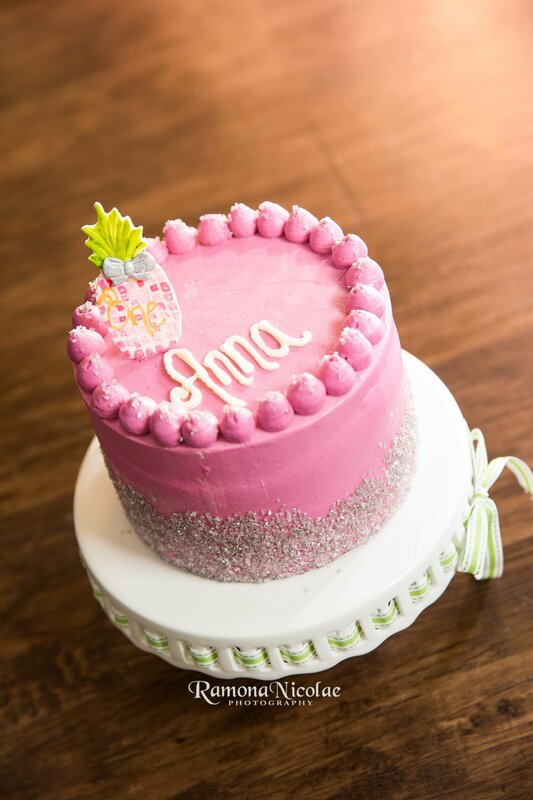 Ask Anna! 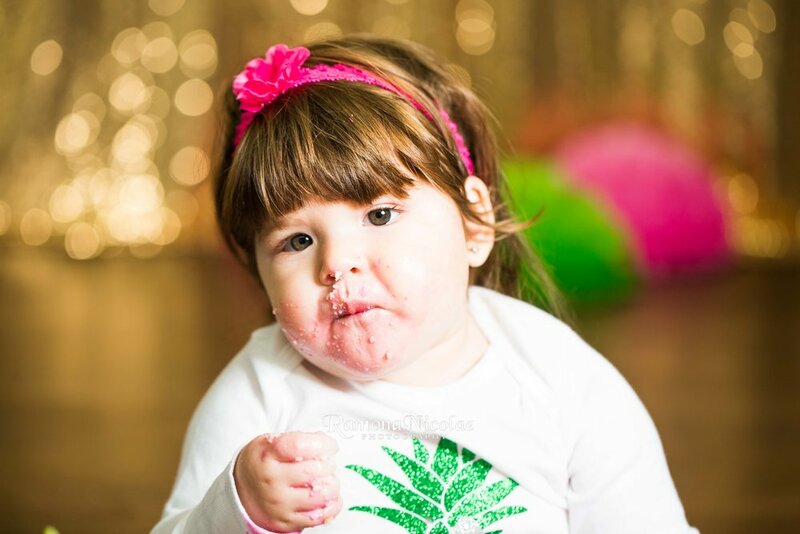 She will tell you... she loved it and ate more cake that day than any other day. 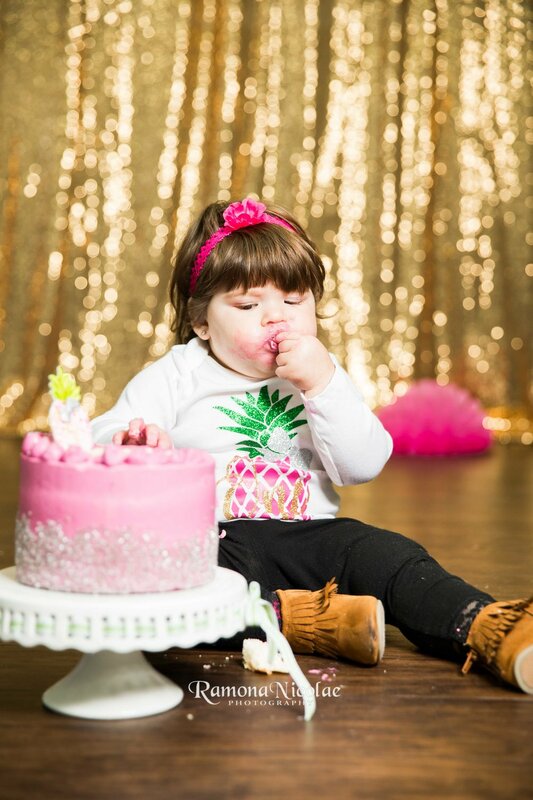 The idea of doing smash cakes has originated in the USA when parents wanted to do something fun to celebrate their child turning one. 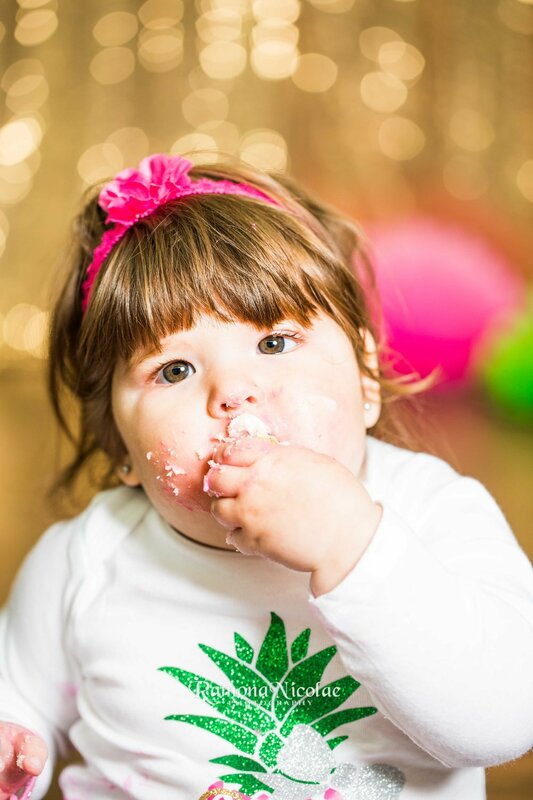 Most of the times, and Anna is no exception, kids love this session more than any other ones! 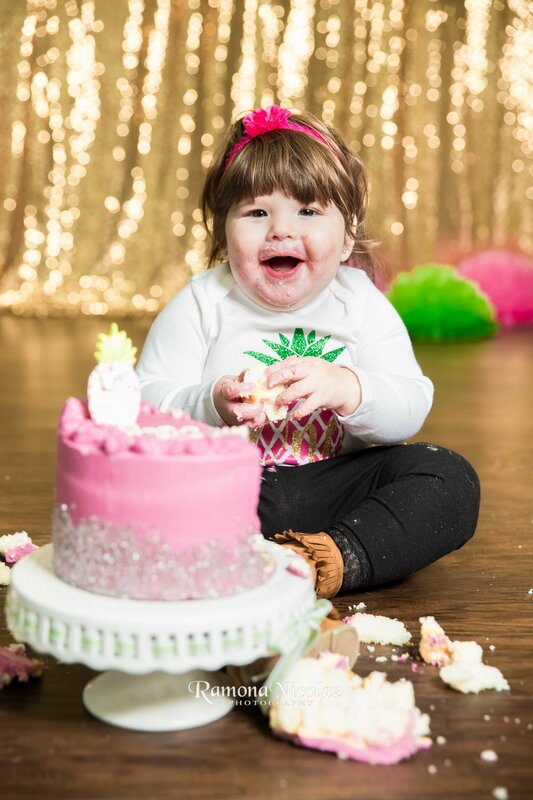 They get to act goofy, eat cake, get messy, use their hands in a messy situation and all while eating delicious cake and being cheered for it! Wouldn't it be so much fun if that how adult life would be too??? Ha ha i know... 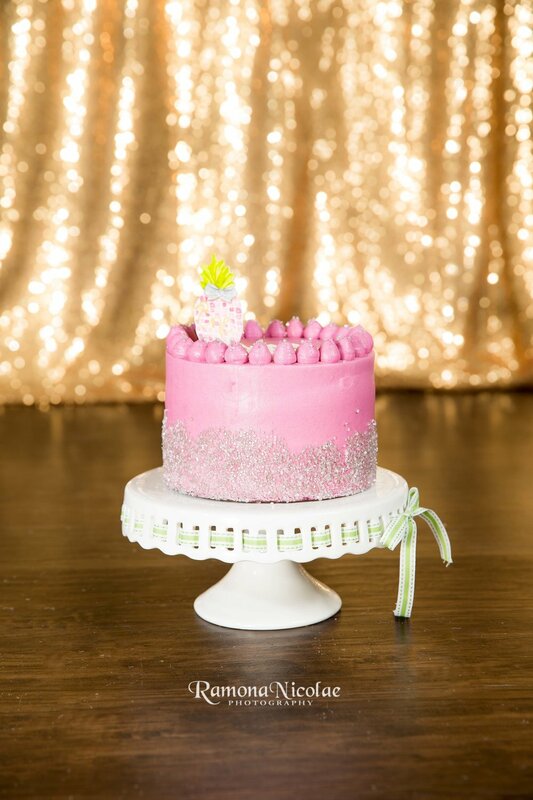 I love cake too... and this pink adorable cake was to die for! 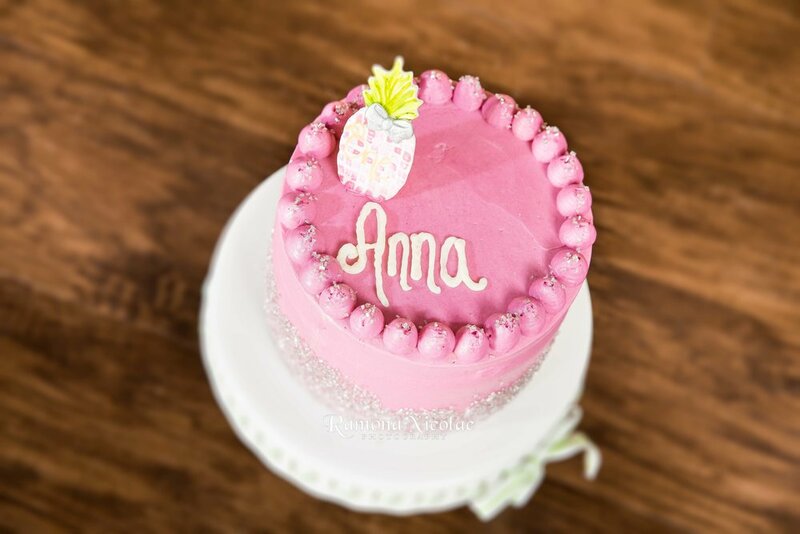 If you are ever panning a wedding or a special event in the Myrtle Beach or the Grand Strand area you have to give Pink Pineapple Cakes a call and try some of their amazing sweets! 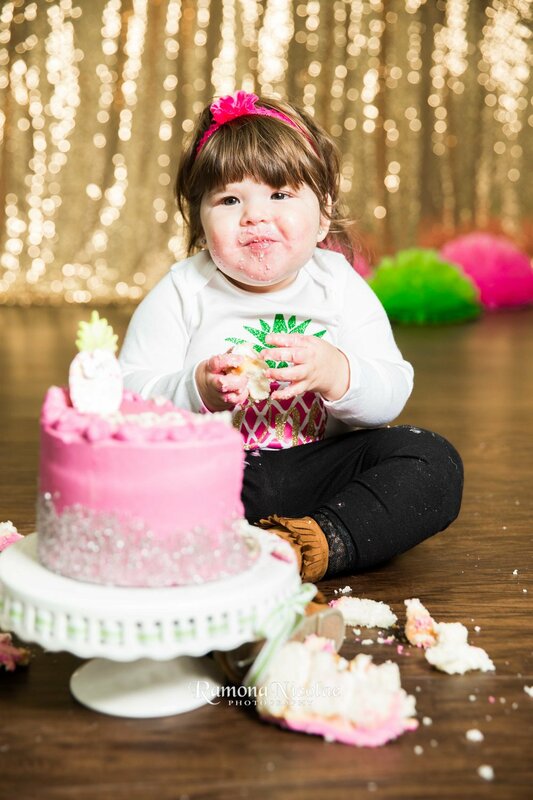 Meanwhile check out our favorite images from Anna's smash cake session as this happy and beautiful girl enjoyed her cake!